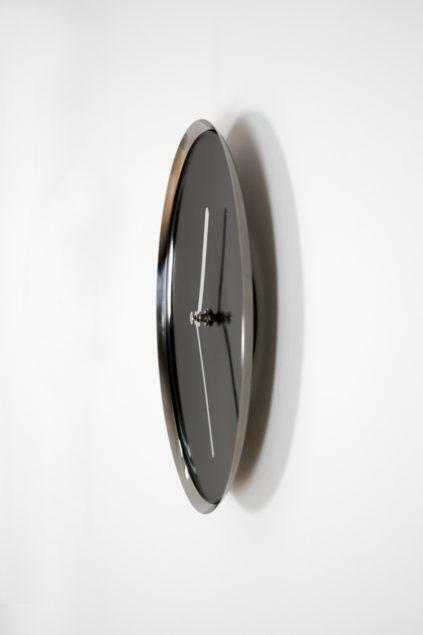 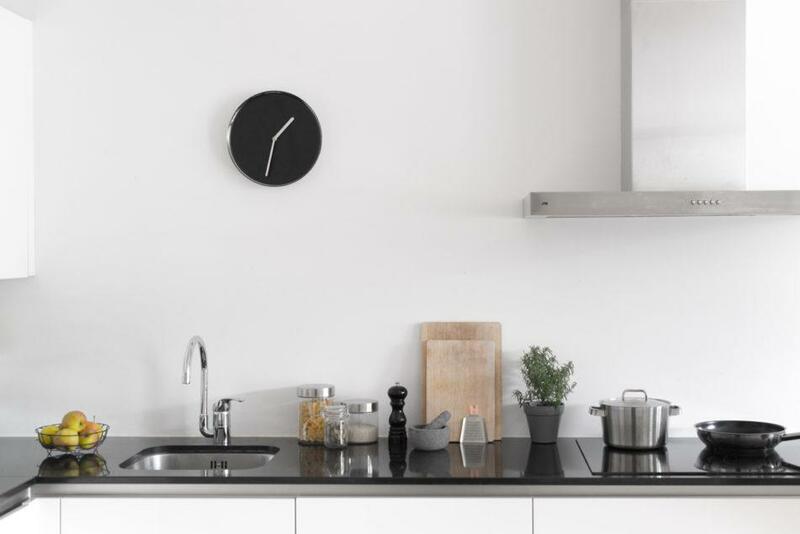 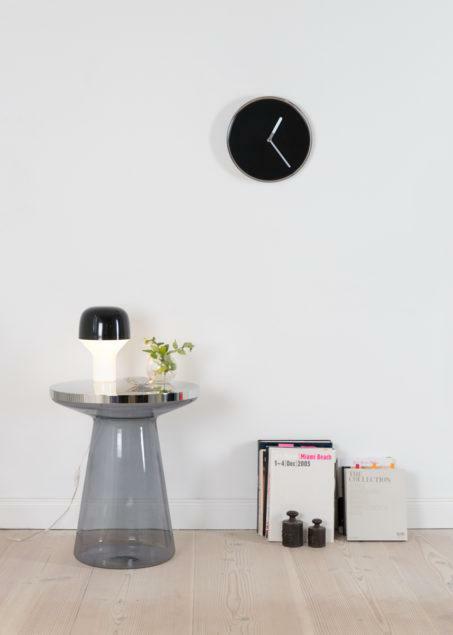 Thin Wall Clock – Chrome/Black. 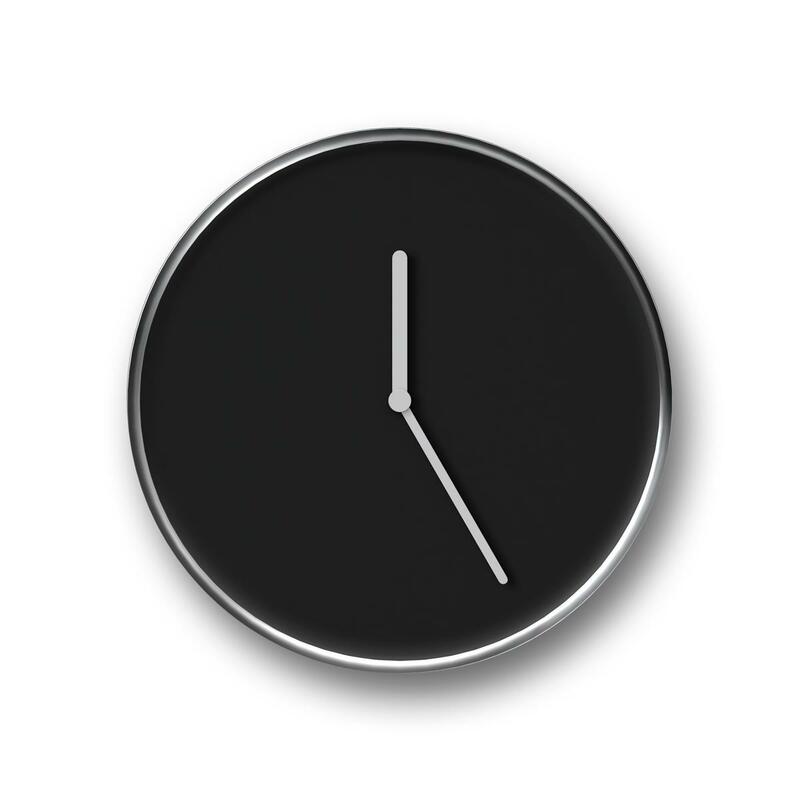 Surprisingly slim in appearance, Thin features a semimatte clock face framed by a glamorous shiny cover in copper, chrome or aluminum. The beautiful material combination and the soft and integrated design make being on time a pleasure.